Your home oral hygiene habits are important to preventing dental issues from developing, like tooth decay and gum disease. However, it is only half of the care you need. You should also see your dentist twice a year for a cleaning and checkup. To help keep services affordable, you pay monthly premiums for your coverage. While you know that you can get treatment for affordable rates, you have yet to schedule an appointment. As the end of the year approaches, your benefits will expire if you do not have your preventive exam now. Dental coverage is different than your medical insurance because it is designed to prevent issues from occurring in the first place. This helps to keep your long-term costs for care to a minimum by protecting your teeth and gums from damage. To help foster a healthy smile, your dental policy covers two preventive appointments twice a year for little to no out-of-pocket costs. 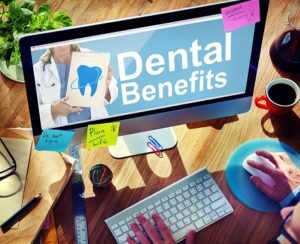 In addition, you are given a yearly allowance after you have paid your deductible to rehabilitate your oral health for minimal cost if an issue does develop. However, your dental benefits expire at the end of the year. They will not carry over for accumulation and you will not be reimbursed for the amount your have paid. If you have not maximized the value of your coverage, you are leaving a lot of money on the table that is about to be wasted. As the end of the year quickly approaches, now is the time to use any remaining benefits. This not only allows you to get the care you need to keep your smile healthy, but will also save you from potential unforeseen expenses in the new year, like fee increases or higher deductibles. To help keep your care affordable, it is best to choose an in-network dentist. This means that they have pre-negotiated rates with your insurance carrier to deliver services for a more affordable price. In addition, they will work on your behalf with the insurance company to file the necessary claims and forms to ensure that the insurance provider covers their responsible portion of the treatments. This helps to reduce any unexpected bills. As the year comes to an end, make sure that your dental health is at the top of your priority list. You do not want to leave any money on the table. Make the most of your coverage by schedule a cleaning and checkup today. 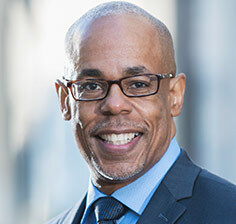 Dr. Alex Martin strives to help you look and feel your best with optimal oral health. In addition to receiving his doctor of dental surgery degree, he is constantly continuing his education to provide his patients with the highest level of care. Using the best advancements in dentistry, he will help you reach and maintain your dental health goals. As the end of the year approaches, use your remaining benefits by scheduling an appointment today.